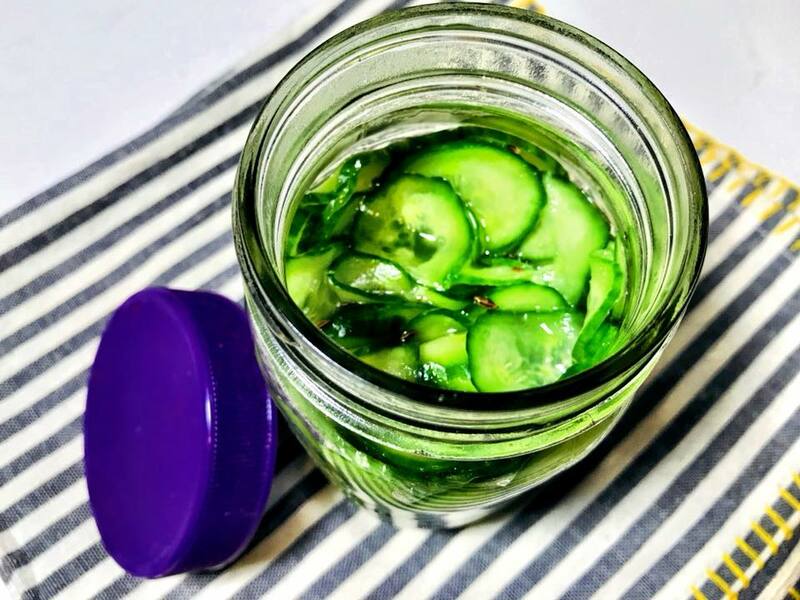 These raw cucumber pickles are the perfect condiment to enhance the flavor of burgers, sandwiches and salads. They can also be enjoyed as a cool tangy snack. Mix all the ingredients well and press into a jar. The salt will draw the water out of the cucumbers. Make sure that the cucumbers are submerged. Cover and let them sit out overnight. Improve digestion – It’s a good supply of probiotics. To learn more about the benefits of cucumbers, check out this funny video by Macka B, the British-Jamaican reggae artist and activist. This entry was posted in Recipes, Side dish and tagged cucumber, cucumberpickles, pickle, rawvegan, vegan. Bookmark the permalink.